In the previous blog (Part One), I said church meetings should provide a context for developing critical thinking skills in adults and young people. 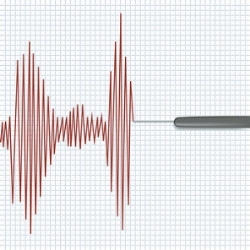 Shared church can help us fine-tune our lie detectors. In my experience, many Christians have received little if any encouragement or instruction in such thinking. During online classes, I see this in students who have learned largely by rote. When asked to evaluate course material in, say, a journal entry, they can recap and restate what they have heard and read. But they struggle with seeing underlying assumptions and evaluating whether the material is persuasive, complete, applicable, and biblical. Doing so, of course, requires critical thinking. Here in Part Two, I’ll follow up with a question that rarely gets asked about church meetings. Can Unbelievers Help Us Learn How to Think? Sometimes, hearing from those who lack a Christian perspective can help to nurture the ability to sift and evaluate. While writing Curing Sunday Spectatoritis, I interviewed Trevor Withers, Network Church, St. Albans, UK. In his account, he tells how he invited “Rachel,” an unbeliever, to visit their weekly gathering and state up front her questions about the Christian life. Some of those in the congregation thought Withers had gone too far. Others welcomed the opportunity to hear her. Rachel had often come for Network’s Sunday lunches but only rarely for their services. Having grown up in a home in which both parents were atheists, she had begun serious questioning when she was in her late teen years. “I am clearly seeking something,” she told the congregation, “but I am not finding it.” Her first thought-provoking question had to do with human sinfulness. Why would an all-powerful, holy God, she wondered, need a relationship with us if we are sinful? The session with Rachel lasted more than half an hour, with helpful dialogue between her and several in the congregation. Imagine for a moment that you had been a part of that gathering on that day. What kinds of fruitful heart-and-mind work was likely going on among those present? Mature Christians, some of whom in the past had struggled in a similar way, recalling how God had found them and drawn them to follow Jesus. Newcomers, unaccustomed to witnessing such candid sharing in a church gathering, deciding to make Network Church their home—or never to return. Young people hearing something authentic—honest words from a soul describing the ache of a search for truth that had, until then, proved unsuccessful. All present participating in the give-and-take as members of Christ’s body wrestled with questions they normally would not have heard from each other in church. How Will Young People Learn to Think? Church meetings can project an aura of unreality. Not because the teaching is untrue, but because it seems so distant from the actual questions that vex people. According to a Barna Group report, 36 percent of the Millennials surveyed said part of their problem with the church is the inability “to ask my most pressing life questions in church.” If not in church gatherings, where are these young people—or their parents—going to learn to think critically about their faith and messages coming at them from their culture? Colossians 2:8 warns, “See to it that no one takes you captive through hollow and deceptive philosophy, which depends on human tradition and the basic principles of this world rather than on Christ.” But how many church young people have learned how to avoid being taken in by such deceptions? Suppose a college professor tells them, “God did not reveal what is in the Bible. It is just an obsolete book written by many people over thousands of years.” If not equipped with thinking tools, how will they cope with misleading statements in a university classroom, a workplace, a science textbook, a blog, a movie, or a television commercial? “You are reasonable people. Decide for yourselves if what I am saying is true.” (I Cor. 10:15, NLT). “And this is my prayer: that your love may abound more and more in knowledge and depth of insight, so that you may be able to discern what is best . . . .” (Phil. 1:9-10). “Don't be gullible. Check out everything, and keep only what's good. Throw out anything tainted with evil.” (I Thess. 5:21-22, MSG). These and other texts leave no doubt that God wants us to be prepared to evaluate false teaching, fake news, and whatever else fails to line up with the truth. In the verses just listed--calling for deciding, discerning, checking things out--Paul wrote in the second-person plural. The closest American English can come to that is “you-all.” And if our meeting formats permit a shared-church experience, those gatherings can provide one of the best opportunities for training ourselves and our young ones in critical thinking. What do you think? Have you encountered Christians who resist the idea of critical thinking? If so, how best can you help them understand its importance? As 2016 ends, fake news is making real news. The Bible calls the vendors of bogus reports false teachers or false prophets. Can practicing shared church help equip us to follow Jesus in a world full of phony reports and spiritual viruses? From Genesis to Revelation Scripture warns us about the dangers of being deceived. Today all of us—including our young people—swim in a torrent of information, some true, some misleading, some both. It surges in endlessly through our cell phones, the Internet, tweets, television, magazines, books, classrooms, and so on. Even something we hear in a church meeting may not pass the truth test. Peter warned his Christian readers, “there will be false teachers among you” (II Pet. 2:1). And Paul cautioned the Ephesian elders, “Even from your own number men will arise and distort the truth” (Acts 20:30). From our enemy’s point of view, insiders make ideal carriers of fake news. But in I Corinthians 14, Paul actually instructs us to do critical thinking when we gather with other Christians. The context includes a call to practice shared church: “everyone” can say something to benefit others (v. 26). How should they hone their truth-detector skills during church meetings? By practicing Paul’s how-to-meet instructions: “Two or three prophets should speak, and the others should weigh carefully what is said” (I Cor. 14:29). “Weigh carefully” (NIV) comes from the Greek diakrino. Other Bible versions translate it as “evaluate,” “pass judgment,” or “discern.” God’s Word Translation says, “Everyone else should decide whether what each person said is right or wrong.” And the New International Reader’s Version puts it this way: “Others should decide if what is being said is true.” So in Paul’s thinking, shared church was the natural setting in which to cultivate critical thinking. Can Church Meetings Still Train Us in Critical Thinking? 1. What did you like about this text? 2. What did you not like about the text? 3. What did you not understand about the text? 4. What did you learn about God—Father, Son, Holy Spirit? 5. What are you going to do now that you’ve read the text? Paul praised the church in Berea for sifting and evaluating what he taught: “The people there were more open-minded than the people in Thessalonica. They listened to the message with great eagerness, and every day they studied the Scriptures to see if what Paul said was really true” (Acts 17:11, TEV). Yes Paul was handpicked by Jesus to serve as an apostle. But that did not exempt him or what he said from careful scrutiny. What do you think? I invite you to engage in some critical thinking and to post your thoughts as a comment below.